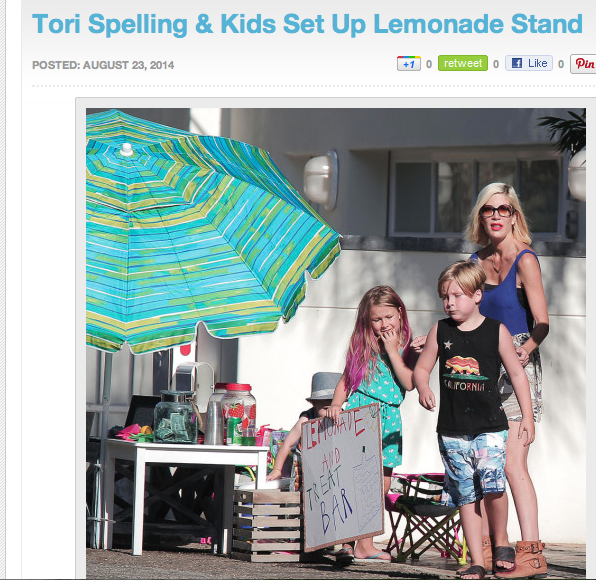 Tori Spelling was busy pimping out her kids this week. She set up a lemonade stand outside her @20,000 a month summer rental. The home sits on Malibu Road, one of the most trolled paparazzi roads in all of SoCal. Guess she isn't getting in the magazines enough these days, there are people with newer fake scandals grabbing up the editorial pages!